Easter doesn’t always get the credit it deserves in terms of decorative ideas, but there are a number of editorial-worthy DIY Easter centerpiece decorations to suit every springtime at-home style. Shabby-chic décor has been making waves for a number of years now, taking its inspiration from a variety of sources including repurposed antiques, farmhouse nostalgia, and provincial French accents. 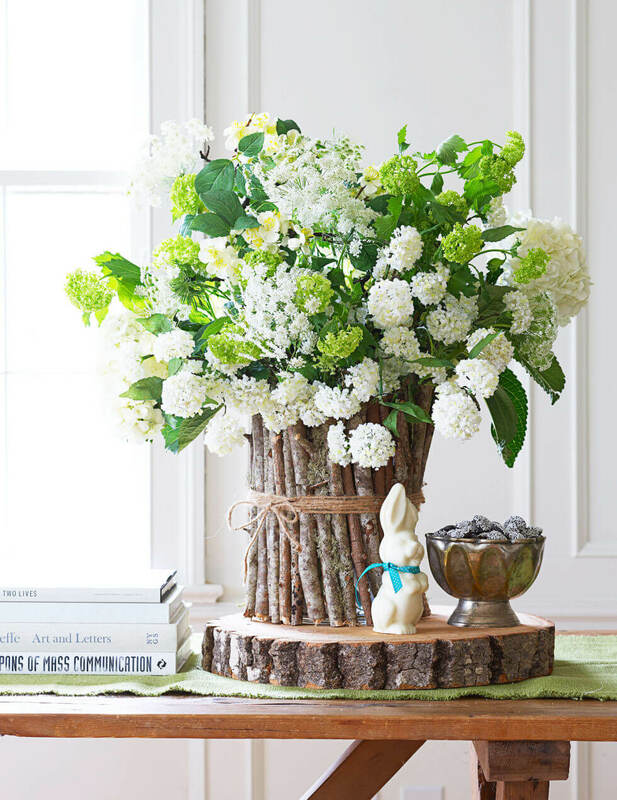 If you’re wondering how you can implement a more sophisticated attitude into your Easter homage this year, there are an assortment of DIY Easter centerpiece ideas. 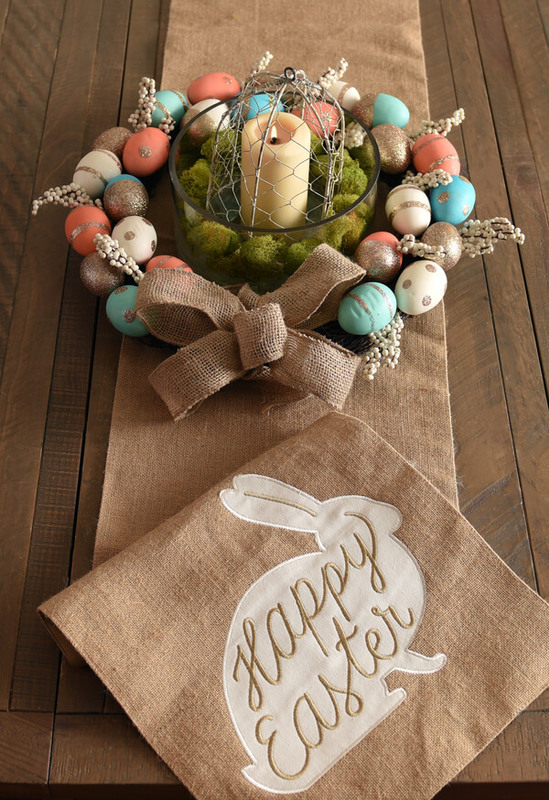 Burlap, mason jar holders, and elegant floral notes are just a few of the ways you can spruce up your bunny & egg ornaments, with handwoven baskets, painted woodland findings, and lots of organic greenery providing plenty of material for the perfect DIY Easter centerpieces. The beauty of springtime Easter décor is the unique creative touch only you can lend. 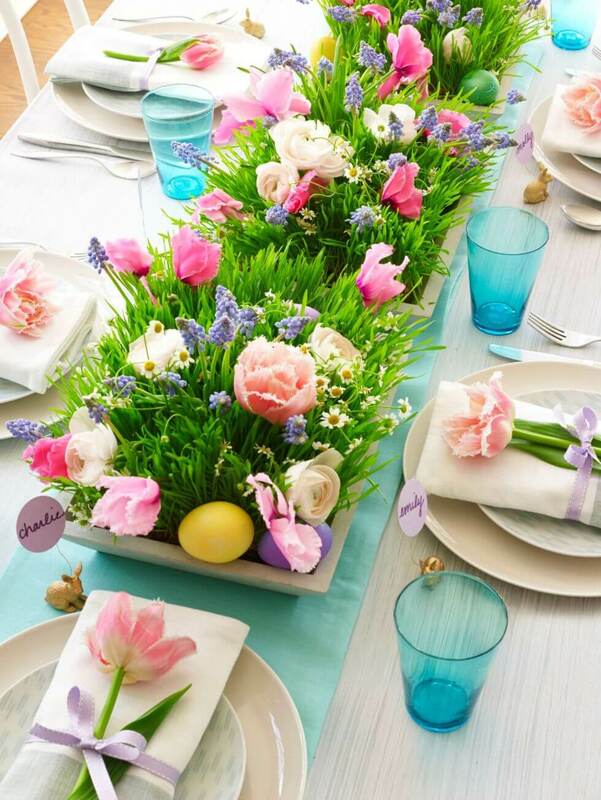 Perhaps you prefer a traditional country backdrop for your Easter bunnies, with soft gingham fabrics, wooden planters, and plenty of pastel color; you may conversely prefer a more sophisticated, streamlined theme, with long stemmed tulips peaking out of Art Deco-inspired glassware. Wherever your preferences may lie, Easter is the perfect time to show off your style skills. From wooden baskets to woven textiles, there’s no shortage of ways to welcome spring into your home. 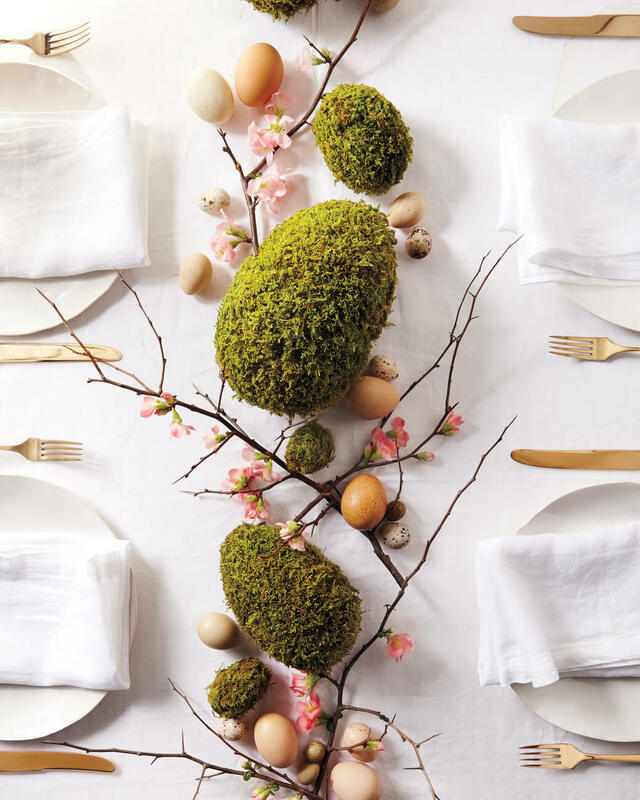 Family and guests alike will no doubt be charmed by these 27 DIY Easter centerpiece decorations, making this Easter an affair to remember. 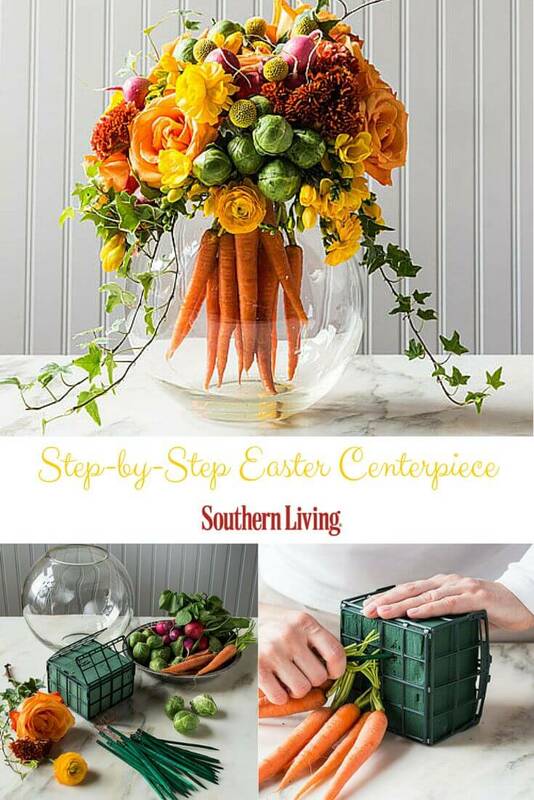 What better way to show off the beauty of spring in a beautiful vegetable and flower centerpiece? This easy DIY is bright and colorful, and sure to bring a lovely feeling into any room that it is placed in. It is super easy to make, and you can vary it up however you want to. Cherry Blossoms are some of the most beautiful flowers around, and a centerpiece with beautiful pastel eggs is a perfect choice this easter. This centerpiece can look good on your tables or near your doorway. Christmas gets its tree; easter should too don’t you think? 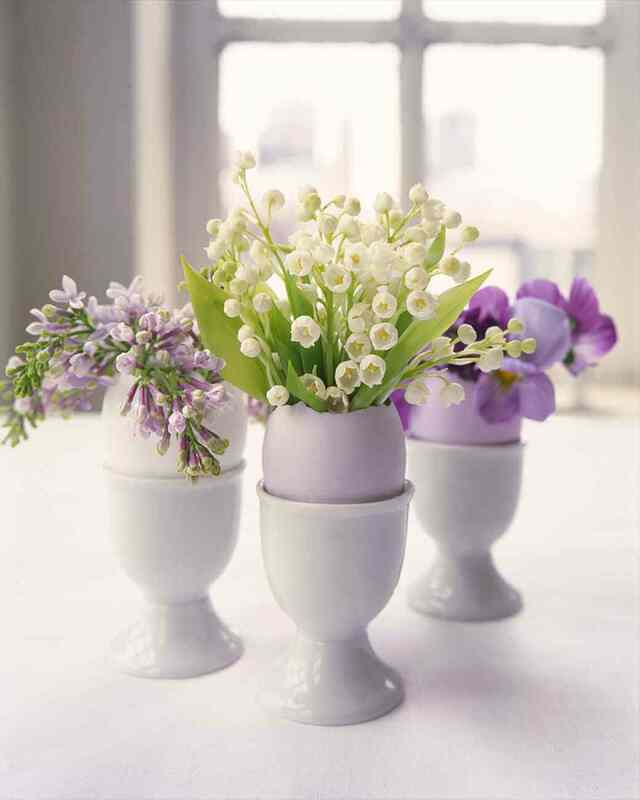 Pairing up painted eggs with flowers is always a good option for easy to make easter decor. Painting your eggs to match the color of the flowers is a good way to give your centerpiece a color pallet that matches, and is easy to work with. Green is a beautiful color to bring in a little bit of spring into your home. This easy DIY uses wheatgrass tied together with a pretty ribbon and a bow in a dish which you probably already have at home. 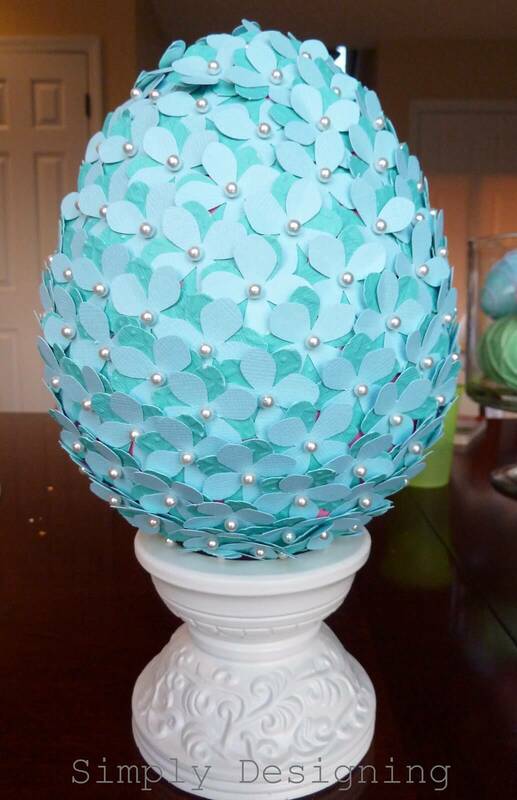 Paint a few eggs in colors that you like, and you have a centerpiece worthy of attention. Mason Jar centerpieces are neat and easy to pull off. This DIY involves picking out some of the most beautiful flowers that you can find and put them into a mason jar that is painted according to your favorite color. You can even paint patterns in the jar if you like. Metallic accents always add a certain amount of flair to any centerpiece, making them look rich. 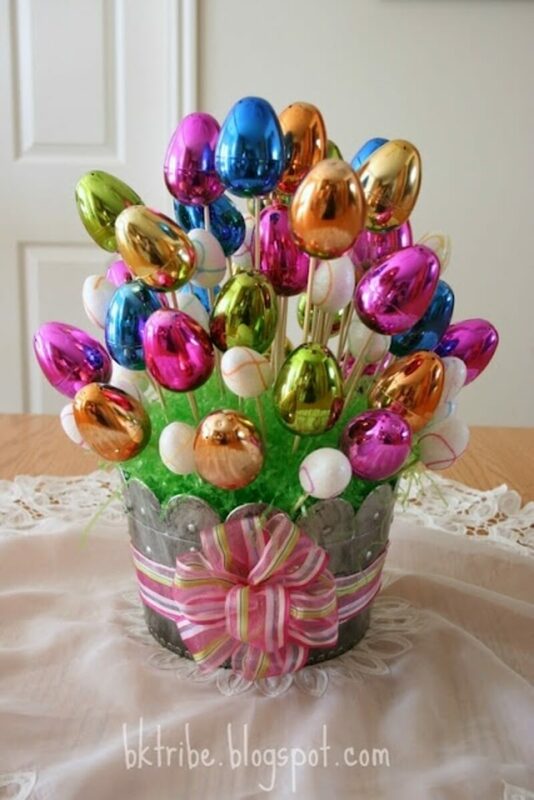 Using plastic metallic Easter eggs, you can make a beautiful centerpiece that is worthy of good easter decor. Why just have one small part of your table filled with a centerpiece when you can have the entire middle portion filled with accents that remind everyone about the joys of spring and easter? This beautiful mossy path egg arrangement is so easy to do and Instagram worthy! White, green and brown, when paired together are some of the most beautiful spring colors that can go along with almost any kind of decor. This cute DIY log centerpiece is so easy to make and only requires a few things. Who says that easter centerpieces have to be subtle and pastel? If you want to go in for something unique, try going in for a centerpiece with bright, bold colors. This peeping pink tulip planter is the perfect example of this! 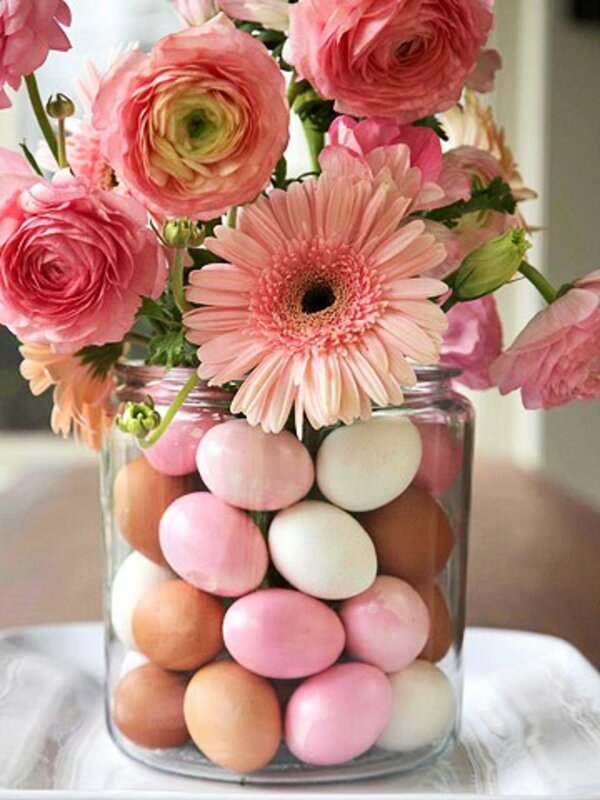 If you don’t have much time on your hands and want to make a cute and easy centerpiece, color a few eggs and place them on a bed of hay upon a tabletop or plate. It’s easy to make and beautiful to look at. Wreaths aren’t only for Christmas and aren’t just for hanging on doors. This easter wreath is made using painted eggs and a big bow to piece them all together. Add a few more accents like a candle with a few green patches around, and you have a pretty Easter wreath to place on your table. 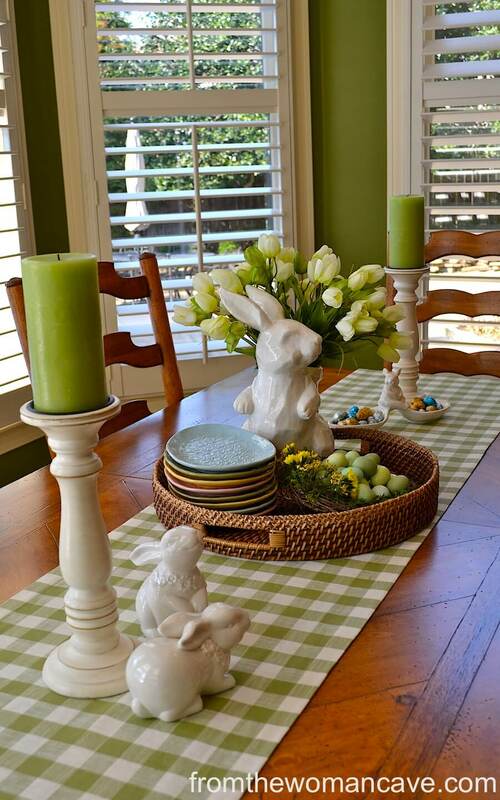 Bring the easter bunny onto your table by using a bunny as a centerpiece. 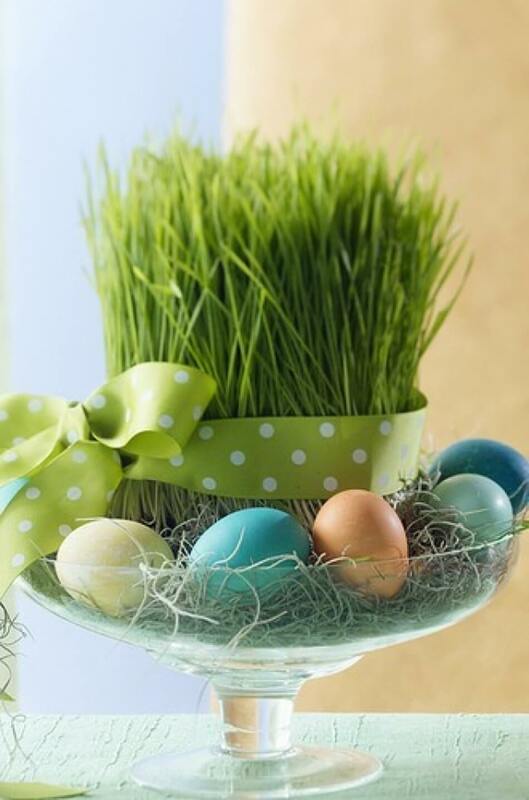 Place it in a neat little basket with a few flowers and eggs around it to give it a special easter touch. If you have ever wanted your table to look like the tea party from Alice in Wonderland, this beautiful centerpiece is undoubtedly the way to do that. All you need is a teacup, a saucer, a fork, flowers and a glue gun. 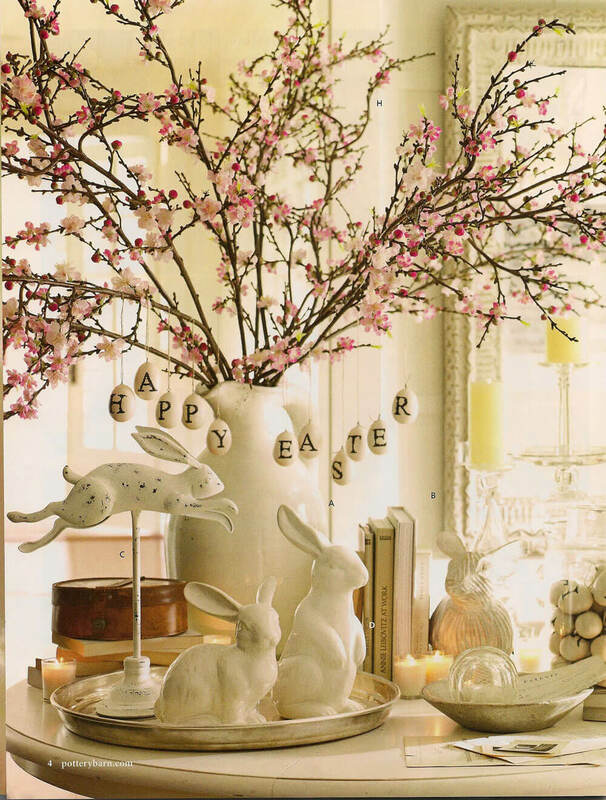 If you want to bring a little bit of cherry blossom goodness into your home for easter, pairing it up with a few Easter bunnies is surely one way that is going to give you a lot of attention. Did you know that if you guessed bubble wrap underneath flowers, they float on water? If you want to wow your guests with a secret they probably never thought of, a floating flower fishbowl is undoubtedly one way to do that. 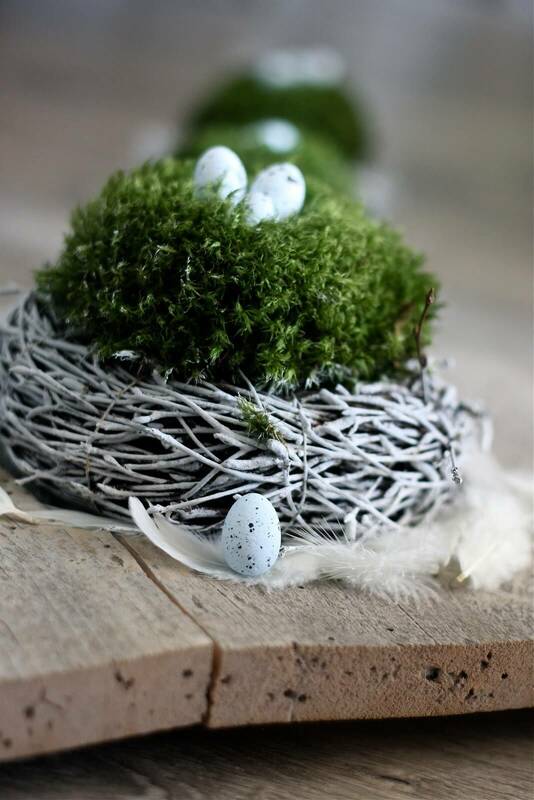 If you want to make a small centerpiece that doesn’t grab too much attention, then a small spring birds nest is something that you can try out. You can create the nest by painting some twigs and placing some small leaves on top of it. Don’t forget to place the eggs in after you complete the nest! Spring is the time to bring out everything that is bright and beautiful. If you have a transparent jar at home, you can make an easy, no worries centerpiece by filling it up with lemons to give it a pop of color. 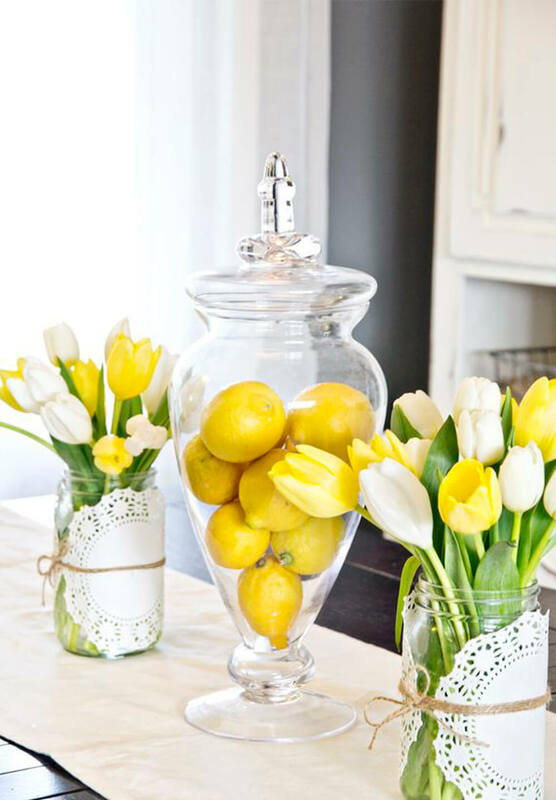 Place some tulips in mason jars next to your lemons, and you have something that is going to attract attention. What’s better than one easter bunny? Five or six easter bunnies! 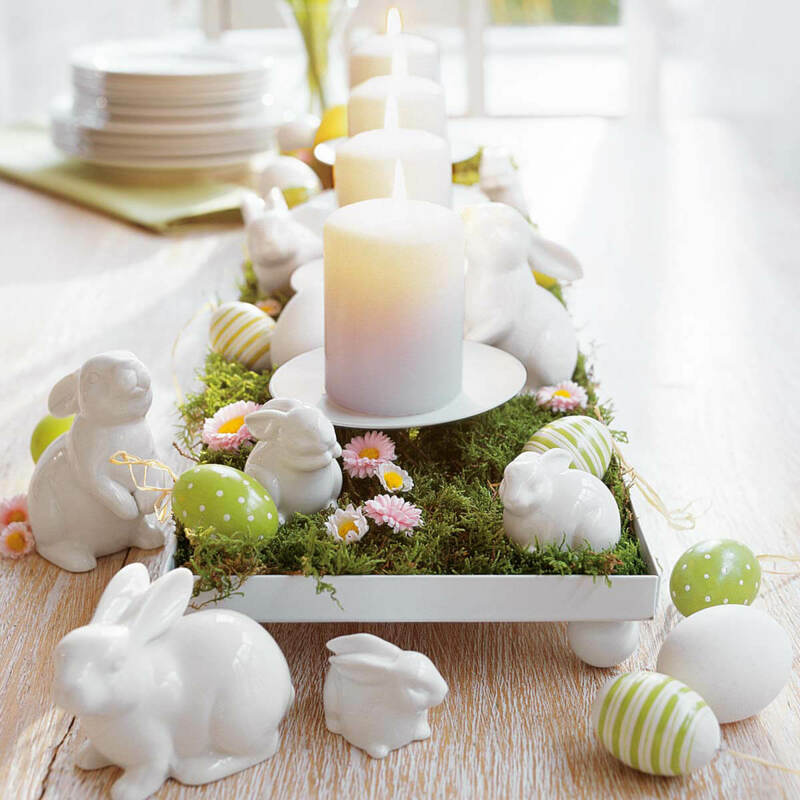 This centerpiece uses ceramic bunnies, a long plate, candles, plastic eggs and some flowers to bring all things easter into one brilliant creation. 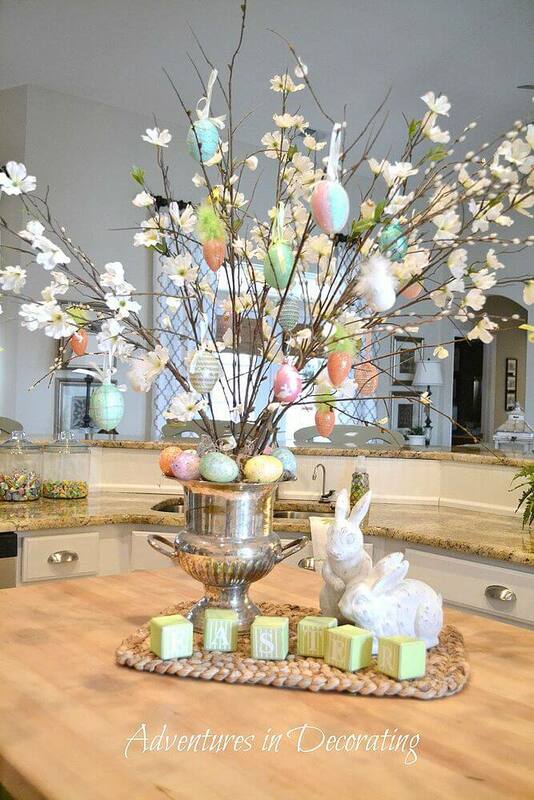 Place all of the individual items in a neat way on and at the side of the place to make it look in theme with each other and to give it a good spring and easter feel. Instead of making multiple small easter eggs, try making a super large one that is guaranteed to get you a lot of compliments. This one uses several pastel blue flowers glued together to give it a nice texture, and to make it look decorative. Don’t forget to place this on a nice holder or tabletop stand to make it look like an egg in a holder. 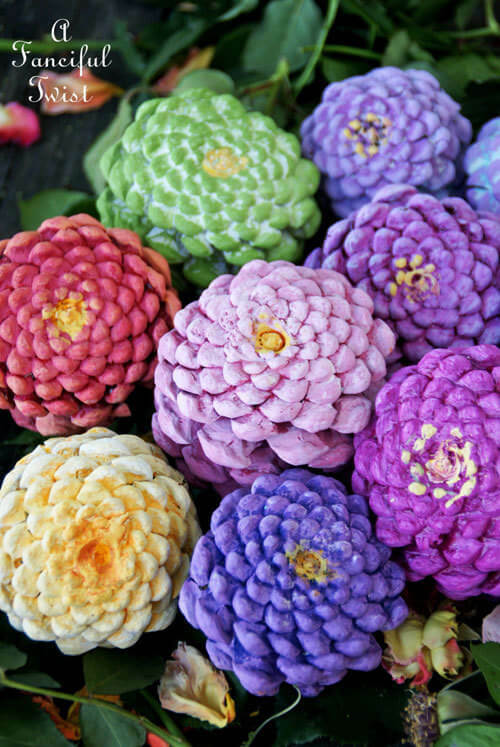 If you have leftover pinecone decorations from Christmas, paint them in bright colors to give them a spring makeover. You can paint them in multiple colors, or just one if you like. Going, either way is guaranteed to make your centerpiece look unusual and beautiful. 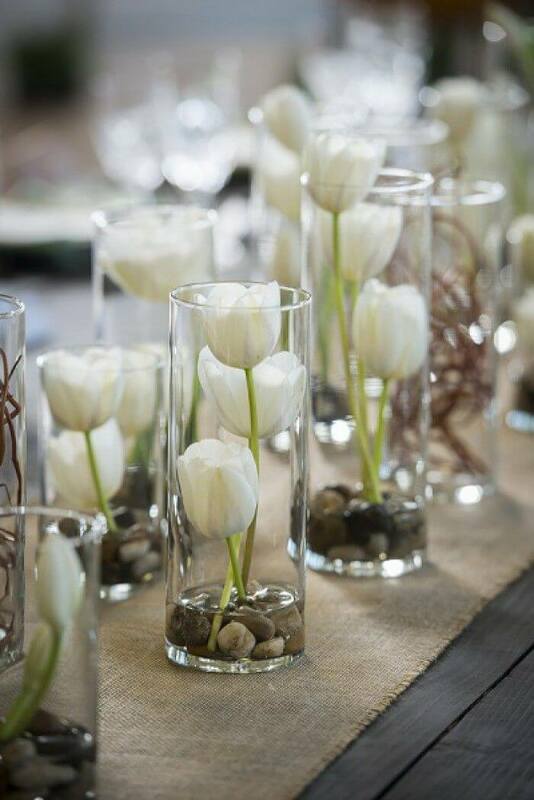 Putting dainty tulips in jars is a cute table top that you can make, which doesn’t involve much effort, and isn’t too big or flashy. You can create multiple of these and place them all around your home, or just one on your table for a cute and elegant feel. Using multiple pots, you can make a beautiful and trendy tabletop that spells out everything beautiful about the springtime and easter. Using pretty pastel flowers and some bright green grass, you can make this easy DIY centerpiece. This bright, beautiful centerpiece is sure to bring in a little bit of spring goodness into your life! 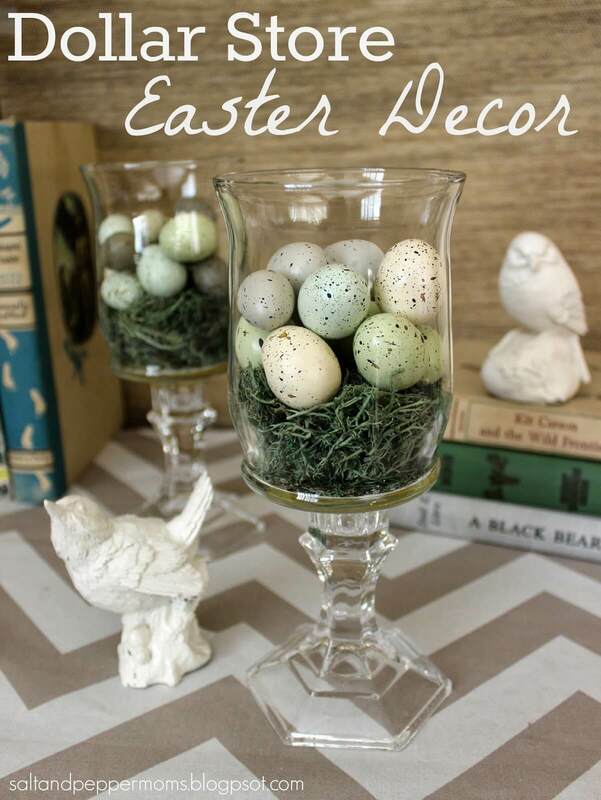 If you want a centerpiece that is budget and doesn’t burn a hole in your pocket, hit the dollar store and pick up a few decorative glasses.You can place a little bit of grass or leaves at the bottom of the glass and place a few painted eggs on the top to give it a good ol’ country feel that looks incredibly cute. 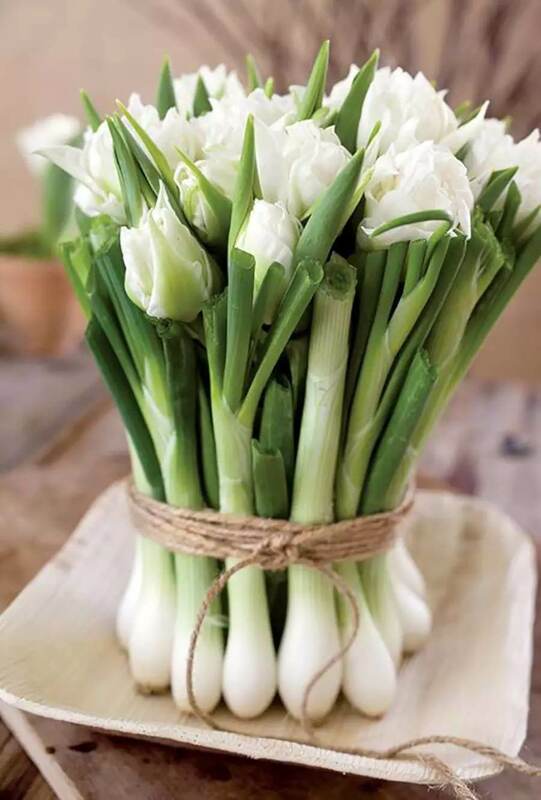 If you grow vegetables like spring onions at home, the flowers that bloom makes for good tabletop centerpieces. They are beautiful by themselves, so something as simple as tieing them up with a piece of thin rope and placing them on the table is a good enough way to bring in the spring. You can place it in a simple dish if you like and want to give it an added touch. There are more than one ways to make Easter eggs, and wrapping twine around a ball is one of them. 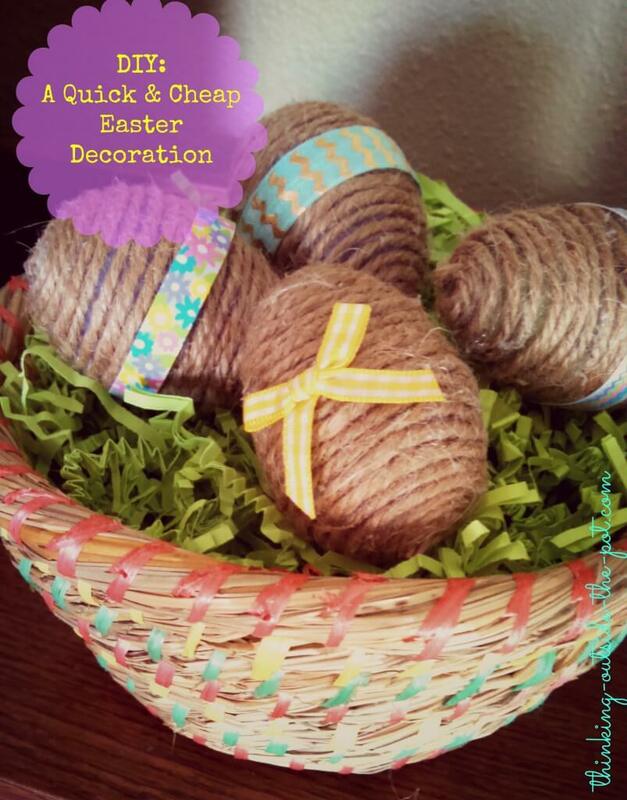 You can put your twine eggs into a basket and place some cutout paper under it to showcase a pretty and simple Easter basket. If you want to decorate your twine eggs more, you can tie a little bit of washi tape around them, or put a pretty bow on top. 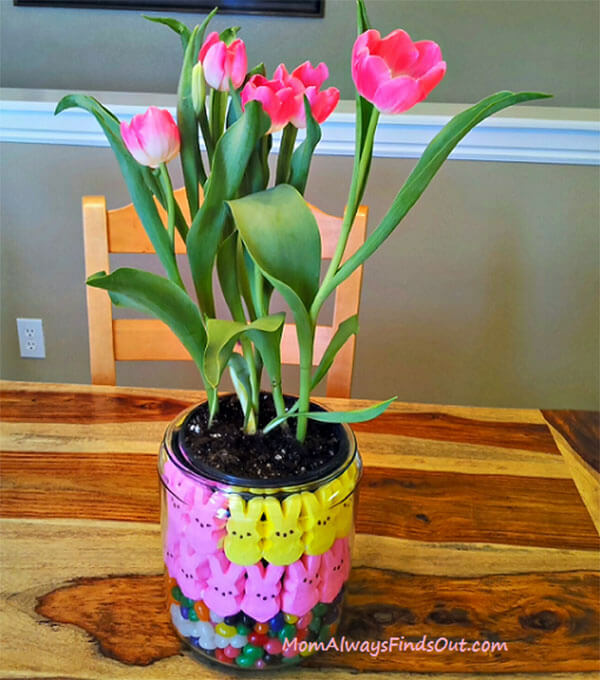 Candy filled vases are easy to make and fun to look at. 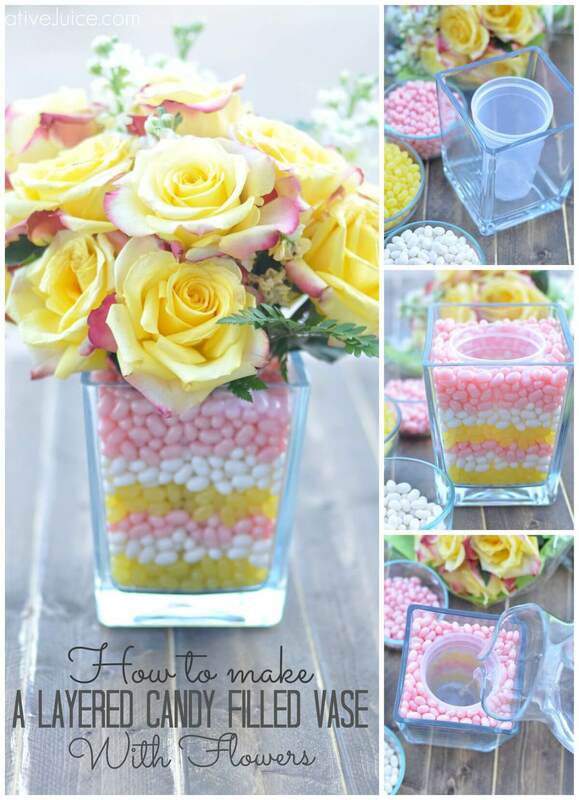 Using pink, yellow and white candy, you can easily make this pretty centerpiece. 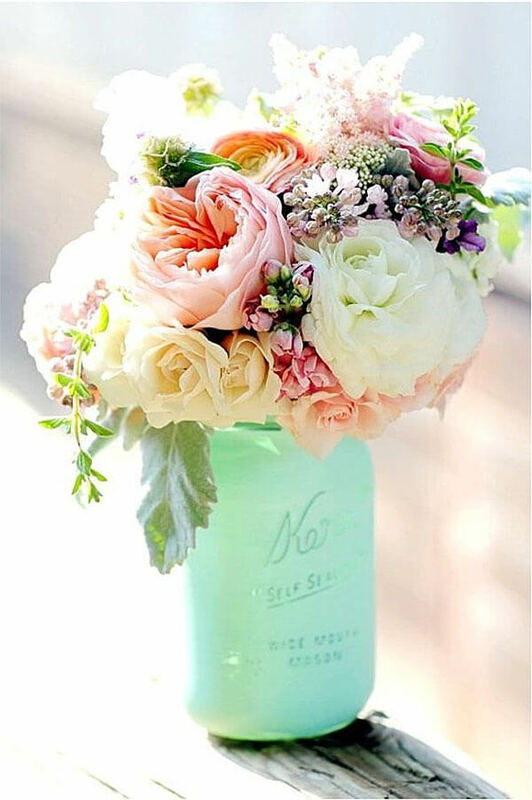 You will also need a vase, and a plastic cup to keep the flowers in that is, of course, smaller than the outer vase. Use flowers that are ideally similar to the color of the candy so that it looks nice and in sync. 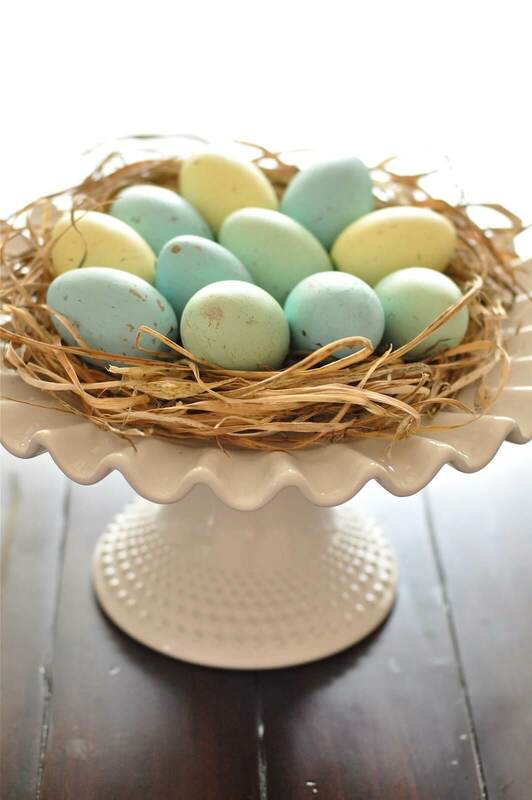 If you have egg cup holders at home, you can make these dainty centerpieces with absolute ease. 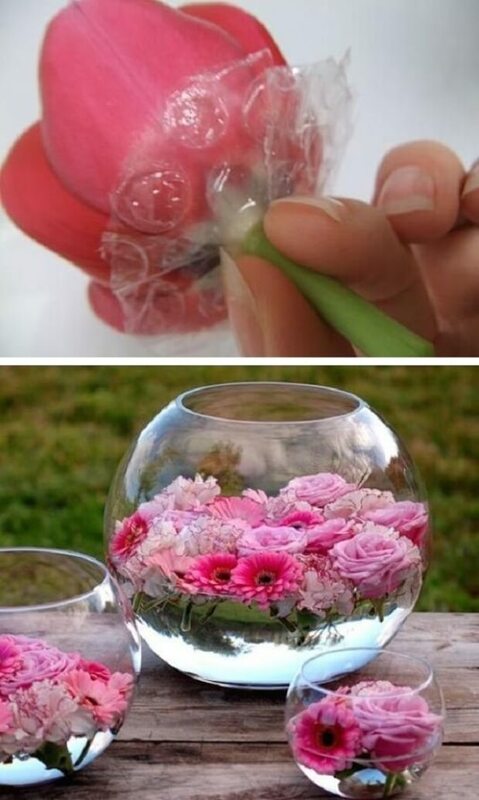 All you need to do is paint an egg and place flowers inside from the broken part. You can vary up the flowers, or use the same ones for all of the holders that you use.